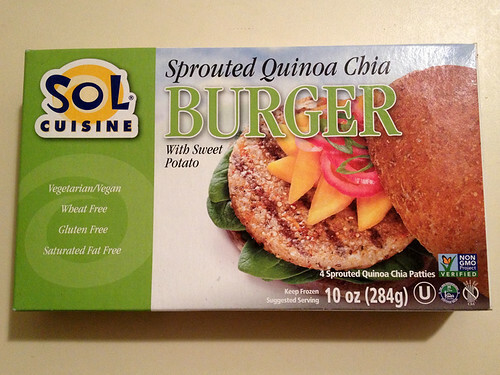 I was picking up some groceries at whole foods recently, and thought I would try a new veggie burger, so I picked this one out of their frozen food section (I like quinoa and sweet potato, so it seemed like a good bet, even though I had never heard of the brand before). After frying for a few minutes with a little bit of olive oil. 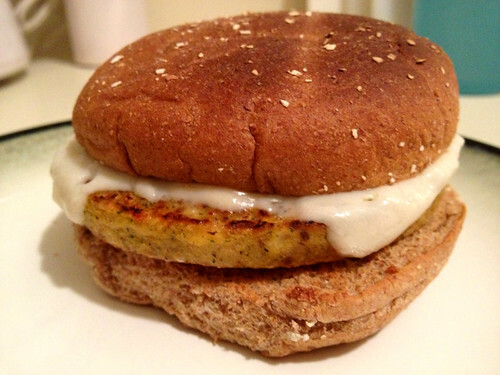 I melted a slice of my favorite Daiya swiss “cheese” on top of the patty, and toasted a whole wheat bun. 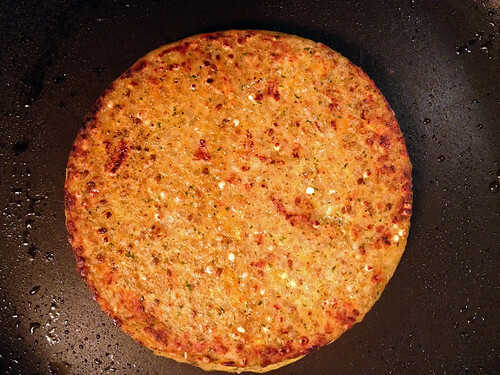 It smelled really good when I took it out of the frying pan! 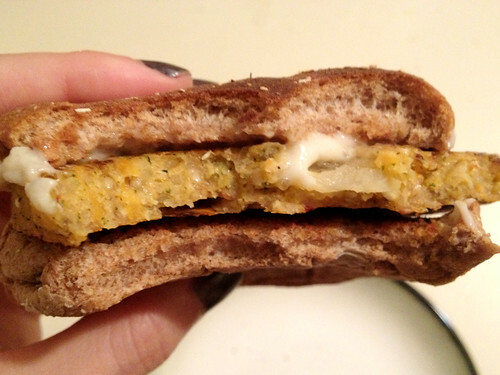 But the texture of the patty was odd, it wasn’t grainy or bready or even mushy – which are the categories most veggie burger patties seem to fall into. Instead, it was very smooth, almost like it had some kind of gelling agent in it (I’m not familiar with chia seeds, but I did a little research and it turns out that they form a gel when they react with water, so that explains that!). This is a very weird texture for a burger. There were also very large, flat slabs of onion mixed in, which I wasn’t a huge fan of. I didn’t taste any of the sweet potato that the package advertised. 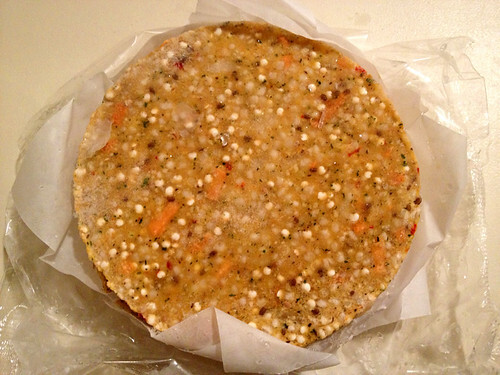 Overall, it was a disappointment – I was expecting more from a product that sounded so good on the box (vegan, gluten-free, healthy, tasty ingredients!). I don’t think there was any way I could have cooked it that would have made the taste or texture better. The melted Daiya on top was the best part, but I don’t think I would buy these patties again when there are so many better ones on the market. Has anyone else tried these burgers? What are your thoughts? Never seen these, but I can imagine that chia seeds would be weird in a burger. Love that Daiya Swiss though! !